When an American dunks a biscotto wedge into his coffee – something an Italian never does (biscotti are dipped into Vin Santo or nothing) – he is honoring the memory of one of the first biscotti makers, and certainly the most famous, Antonio Mattei. 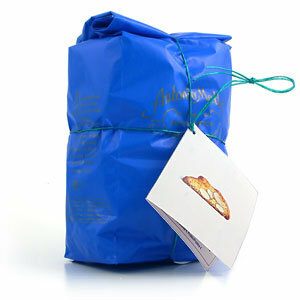 Biscotti di Prato, sold worldwide in Mattei’s distinctive blue bag with gold lettering, turns 150 years old this year. In 1858, pastry chef Antonio Mattei opened a biscottificio in Prato (near Florence) at 22 Via Ricasoli. The storefront and vast simple kitchen continue operating in the same location today, producing and selling the typical twice-cooked cookies made of flour, fresh eggs, sugar, almonds and pine nuts. The result of his unique recipe gained immediate popularity over a century ago. In 1861, he was winning prizes at the Esposizione Italiana in Florence and in 1867 at the Exposition Universelle in Paris. The interior of the store with its marble bench tops and wooden shelves holding rows of neat blue packets of biscotti (also know as cantucci) can’t have changed much. The smell of baking wafts out the doors as customers come and go. Kind-hearted Antonio Mattei once hosted a party of nuns from the city of Mantova who were on their way to Rome. To thank him they gave him their recipe for Torta Mantovana. It proved to be a terrific success. As Artusi noted, Antonio Mattei died in 1885. Ernesto Pandolfini took over in 1908 and ran the Fabbricante di Cantucci until 1961. Ernesto introduced Brutti Buoni, chewy almond macaroons, and the Filone Candito, a bread made with brioche dough that contains candied cherries and is covered with a thin layer of marzipan. In 1961, Paolo Pandolfini and his cousin Renzo Guarducci stepped in. The Pandolfinis are still making Biscotti di Prato, Brutti Buoni, and Torta Mantovana today, in addition to Antonio’s Biscotti della Salute, sweet bread crisps that are lighter and meant for breakfast. The Torta Mantovana, Brutti Buoni,and the Filone do not travel well, and to sample them you must visit the shop in Prato. 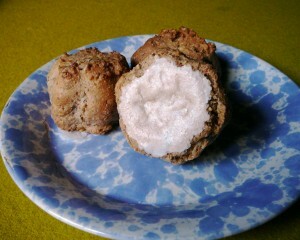 Brutti Buoni, shortened from Brutti ma Buoni (Ugly, but Tasty), is a lump of a cookie sitting on a communion wafer. It is best eaten fresh-baked when its crispy exterior guards a soft, chewy center of crushed almond barely-cooked dough. Within three days it becomes a rock. Blue is an uncommon color for food packaging, and this may be why Antonio decided upon it when he began selling his biscotti. 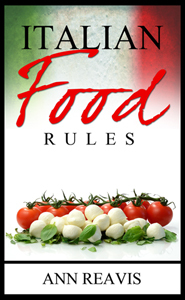 It’s distinctive and can be recognized at a distance whether in a shop in Florence or an Italian deli in New York. The Biscottificio Mattei ships its Biscotti di Prato all over the world. 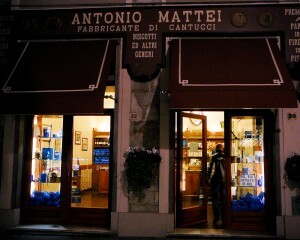 Visit the official web site of Mattei Biscotti of Prato. I never leave Italy without taking a bags of these bisotti to my friends and family. They are by far the best! I bought a small bag from the shop in Prato and finished it by the time I reached Rome. Now back in Singapore, I am having brutti buoni withdrawal problems but it is not good for shipping, since it does not keep well. Any recipes I can remotely try?